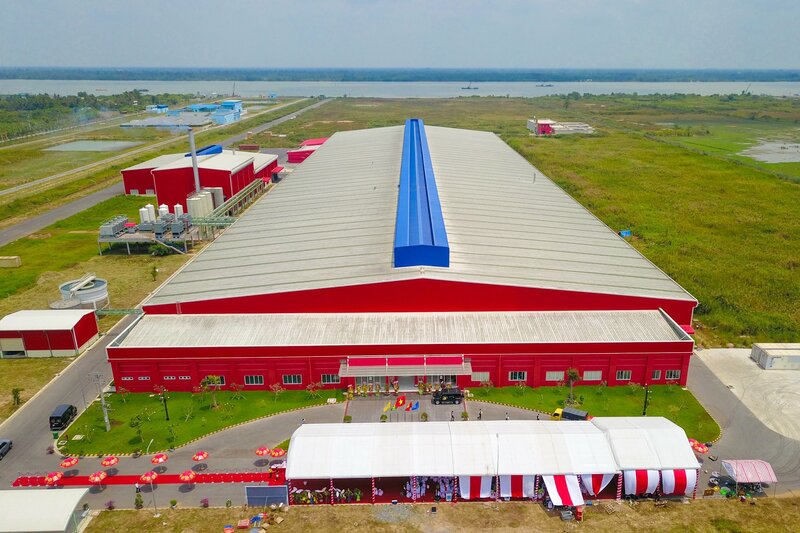 Tan Hiep Phat recently inaugurated the largest beverage plant in Vietnam’s southwestern region as part of its plan to reach 3 billion liters in production capacity by 2023. The VND4 trillion ($172.3 million) plant spans an area of 40 hectares (99 acres), and uses Aseptic filling lines from GEA Procomac, a technological leader in the sensitive beverages filling field from Italy, to thermally sterilize beverage production. 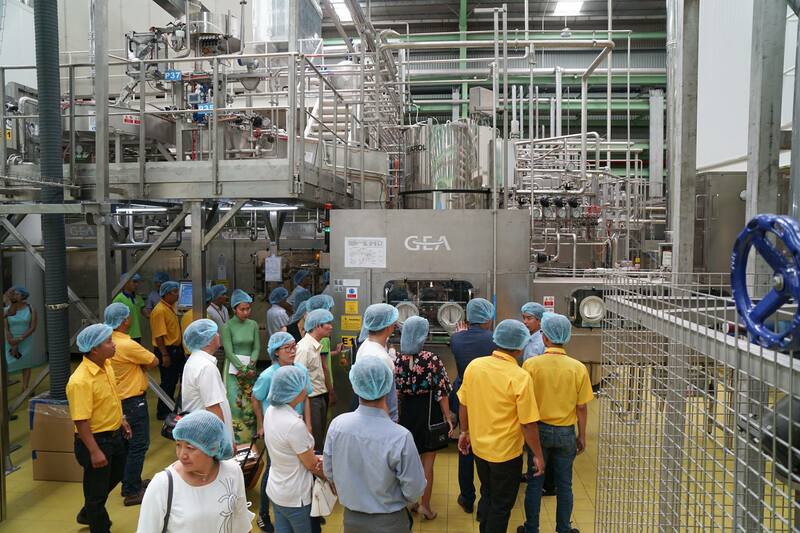 During Phase 1, the factory, situated in Hau Giang Province, will operate one Aseptic filling line to produce 48,000 bottles an hour or 130 million liters a year. Tan Hiep Phat Beverage Group (THP) is installing two more lines with the investment of VND1.8 trillion ($77.54 million) to increase capacity to 300 million liters per year. Tan Hiep Phat Group’s new beverage factory in Hau Giang Province. Aseptic technology allows THP to produce nature-based products such as Dr. Thanh Herbal Tea, Number One Energy Drink, Zero Degree Green Tea with Lemon and Zero Degree Macchiato Milk Tea. The company will also seek to make use of natural resources, including fruits grown in the Mekong Delta region, to create new beverages. This will boost the region’s economy and provide consumers with healthier drinks. A THP spokesperson said the factory was built in Hau Giang to take advantage of the Hau River, allowing the company to distribute its products around the delta with more ease and at a lower cost. In addition, it will also better serve exports to Cambodia, Thailand and other neighboring countries by ocean freights. The company’s Aseptic production lines ensure hygienic, advanced bottling systems. The plant is part of the company’s plan to triple its production in the medium term. “Our goal is not just to build the fourth factory in Hau Giang but also to increase export globally. We want to have 10 percent of our products exported by 2023,” the spokesperson said. THP is the leader in the Vietnamese ready-to-drink tea market. The firm currently produces one billion liters of beverages per year, and plans to raise this number to over three billion liters by 2023. It also plans to increase revenues to $3 billion by 2027. Vietnam with its 95 million population remains its main market. The company exports to 16 countries and territories, including demanding foreign markets like the U.S., Canada, France, the Netherlands, Australia, Korea, and Singapore. With a global vision, THP plans to set up plants in other countries to take advantage of local resources, expanding its beverage portfolio and continuing to raise its scale.